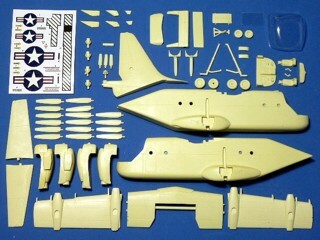 Each model kit contents 1 set of canopy and 1 sheet of decal. Extra canopies and decals can also be ordered. In 1950's, many V/STOL aircrafts were built and evaluated by the U.S. military services. Few of the concepts were deemed to have the operational capabilities. Base on these prototypes experiences, the new V/STOL assault transport program was announced. In 1961, a request for proposal of the large cargo airplane was released by Tri-services. Ling-Temco-Vought was awarded, with Hiller and Ryan serving as subcontractors, a contract for five XC-142. It was powered by four turbo-shaft engines. The wing could tilt through 100 degrees. The fuselage was designed to carry 32 troops or 4 tons cargo. It made first flight in 1964, followed by trails of cargo flights, paratrooper drops, desert/mountain rescue and carrier operations. 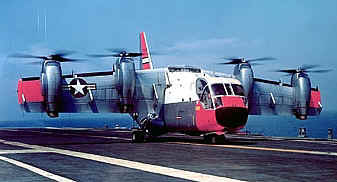 The five XC-142 were flown a total 420 hours. Performance was not as good as expected. Four of them were damaged in hard landings. The program was ended in 1966, one XC-142 was turned over to NASA for research tests until 1970. 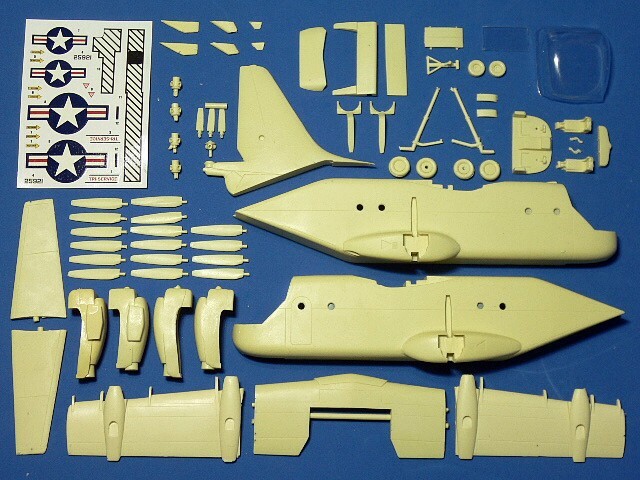 The LTV XC-142 is suitable to group with the following collection series.